I have a kitchen I can call my own for the last 13 months now. It's been an interesting process understanding what systems to use to stock groceries, which meal to cook depending on how much time we have, and what ingredients to have at all times. (3) Chili - I kind of just need this in anything. It's like Sriracha to the rest of the world. So now I keep a bowl with all three ingredients ready to use in a moment's notice. Curious to know, what are your everyday flavors? I've recently discovered lemons are great on everything too, in juices, salad dressings and hot drinks. I've always loved garlic in everything as well as chilli... not great for your breath though! And this isn't a flavour but I'm become obsessed with avocado recently, especially for breakfast or in salads. We always have fresh garlic, cheeses, and olive oil on hand in our house....Italian food's a favorite! Personally, I always keep some harissa sauce in the pantry too (love spicy food), but it goes well with pasta dishes and such too. Yes, stocking up on lemons is a good idea! But so many of mine have gone bad some of the time. I'm almost thinking of growing a lemon tree just so I can always have them around at least. i never actually used to buy lemons until recently. 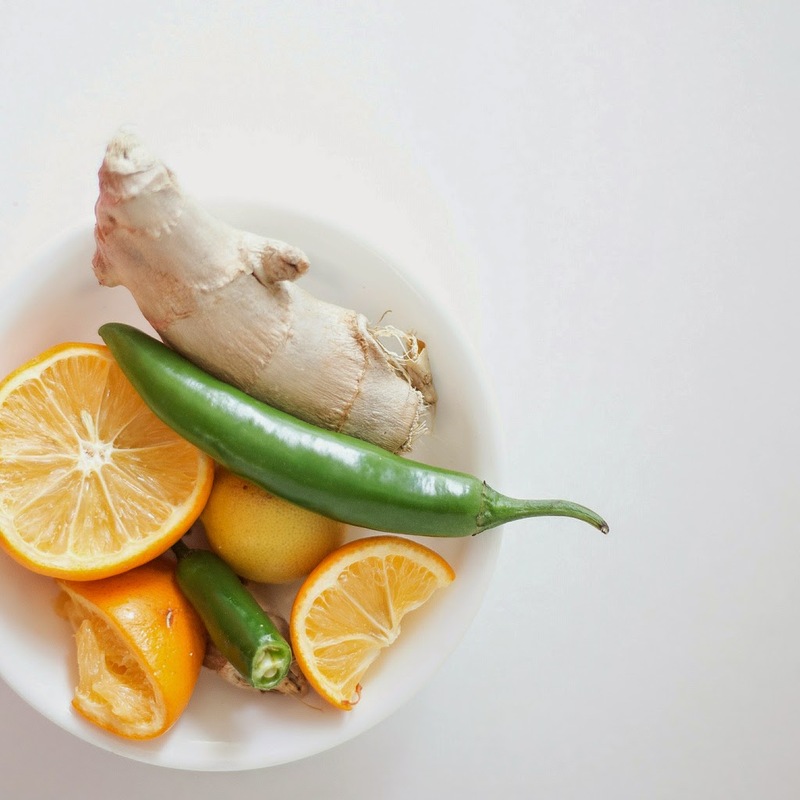 for sure lemons and ginger are a staple in the kitchen for me! Thanks, Lisa! I wish I could have basil on hand too! Usually they come in such big bundles and then they go bad so quickly.